Months after Lyft, the ride-hailing company, began operating in the Rio Grande Valley, Uber will now begin service in the Valley. Uber works through an app on your cell phone that connects you with a driver once you request a ride to a certain location. Uber operates in dozens of countries and hundreds of cities, and will add Cameron, Hidalgo and Starr counties to its reach. The first ride will happen after Wednesday’s news conference, according to RGV Partnership President Sergio Contreras. State Rep. Armando Martinez, D-Weslaco, and Vice Chairman of the House Transportation Committee, will be part of the first ride, Contreras said. 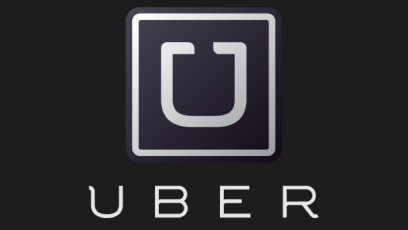 Uber has already begun reaching out to drivers and conducting trainings, Contreras said. The company is currently receiving backlash from inside and outside the company, as Founder and CEO Travis Kalanick was asked to resign last week. However, the ride-hailing giant continues to grow, and revisit old cities. Austin voted in May 2016 to reject Lyft and Uber’s $8.6 million bid to overturn the city’s rules for ride-hailing apps. Austin citizens voted to keep in place the ordinance that the city council approved the previous December, part of which requires drivers with ride-hailing apps to undergo fingerprint-based background checks by Feb. 1, 2017. Uber and Lyft subsequently exited Austin after the May vote, which left thousands of drivers without jobs. However, just weeks ago at the end of May, Gov. Greg Abbott signed into a law a bill that puts the state, instead of local governments, in charge of regulating the ride-hailing industry. Despite Uber’s turmoil and the 2016 Austin vote, the two ride-hailing apps are now open for business in the Valley.